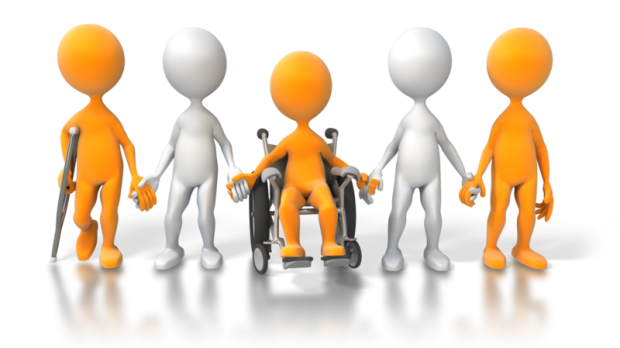 Inclusive design or Universal design is the process of designing a product or service that can be used by all people. During product development it is useful to identify the demographic that would be able to use the product. However ,for a better all round product it would be useful to include users of varying abilities, backgrounds and ages. The accessibility of a design is the performance based on usability for its target user population. We are an ageing population and people are surviving with varying abilities, but despite common sense, so many products are designed with the young “able-bodied” user in mind, and thus are not desirable to older people or people with differing abilities. Medical devices designed as aids for daily living have normally come under the category of assistive technology. The designs within these products can easily be translated into general mainstream products giving a more user friendly device to the masses. This, “design for all,” is a shift that is occurring for many products. Inclusive design stretches to website design too, we have tried our best to make our websites intuitive and inclusive to all, if we havent let us know and we will sort it out! A good example of the change towards universal design is the emergence of home based medical diagnostic equipment, such as oxygen saturation monitors and blood pressure monitors. These are now readily available over the counter in high-street stores. Historically, this equipment was only used by qualified healthcare practitioners, however with the rise in healthcare costs and the requirement of more home care, these have been designed to be used by the masses with minimal training in non-clinical environments. Inclusive design should be included at the beginning of a design process. So when conducting market and user research, the ranges of skills and capabilities need to be taken into consideration. If it is the redesign of an existing product, analyse the population that cannot use it, for new products, expand target population as much as possible. This should only add a small amount of additional cost, if any, for a better and ultimately more profitable product. During the research you should not consider people to be fully-able or disabled, but having differing abilities (we all have some sort of lack in ability). Usability and flexibility, often do not go hand in hand. If a product has a large number of features that allows the product to be flexible in its applications it cannot always be guaranteed to be functional. Try and only add features that satisfy the users and these features should be easy and possibly fun to use. Obviously all these features and functions need to come in an aesthetically pleasing product, yes, it is shallow! There are many tools available to aid in the process of integration of Inclusive design. The International Classification of Function (ICF) describes a model where by a person, his/her activities, environment, body structure & function, personal circumstances and health condition are one integrated system, if one factor changes the others change. These translate well in the ethos of Universal/Inclusive Design, a product designed with these factors taken into consideration opens up its target demographic. A useful resource is the Inclusive Design Tool Kit developed by Cambridge University, where some of the processes of inclusive design are visited. Another useful resource is the Human Centred Design Toolkit which has been specifically designed for NGOs and social enterprises working within impoverished communities in Africa, Asia and Latin America so that human-centred design, that has been used to innovate businesses worldwide, can be used to empower communities. This is very big topic and I have only introduced this topic. Previously medical devices were ugly products, that only trained individuals could use. Now, patients are using the products themselves. Why should features of assistive technologies be unique to that genre of product and not included into general consumer devices. Obviously designing the perfect product that can be used by all is near impossible and there will still be the need for customised equipment , but utilising resources like the above gives a good starting point in producing a better product that is inclusive to people from as many walks of life as possible.